After Hurricane Katrina brought devastation to the city, New Orleans is working on a comprehensive water plan to protect the Mississippi River Delta region. The catastrophic damage wrought by Hurricane Katrina brought nationwide attention to the infrastructure Russian Roulette long-known to the parishes along the Louisiana coast. To ensure such a disaster never decimates the Mississippi River Delta again, in 2010 Greater New Orleans, Inc. (GNO) was tasked with developing a comprehensive water plan for Orleans, Jefferson and St. Bernard Parishes. 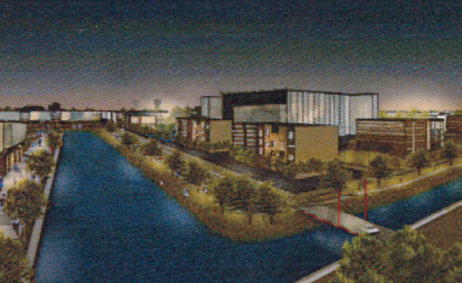 Now, with pilot projects in place, GNO is unveiling its plan to the public. If implemented, the Greater New Orleans Urban Water Plan will result in an estimated $8 billion reduction in flood damages and a $2.2 billion reduction in subsidence damage over the next 50 years. Cost projections for implementation range between $2.9 billion (for the “Basic Scenario” which assumes “partial implementation of Slow, Store and Drain proposals…that are more likely to be implemented given existing resources and regulatory frameworks,” according to source materials) and $6.2 billion (for the “Intensive Scenario” which assumes “full implementation of the most ambitious Slow, Store and Drain proposals, which will not be feasible in their entirety without broad shifts in policy…” according to program materials). 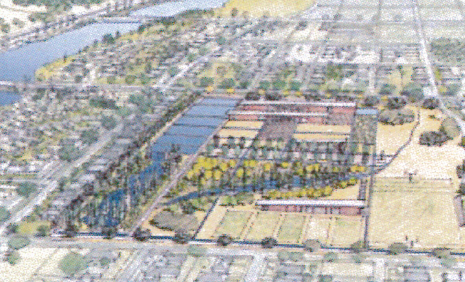 Mirabeau Water Garden – located on a privately-owned 25-acre site in New Orleans Parish, the project would include capturing water from the parish’s drainage system, treating the water and storing it for instructional and recreational use. Canal Street Canal – a small neighborhood canal with a manually operated gate, which can be closed, allowing water levels and infiltration scenarios to be tested. The project will increase water storage capacity and groundwater recharge. Lakeview Floating Streets – subsidence issues plague the Lakeview area, damaging buildings and causing potholed streets. 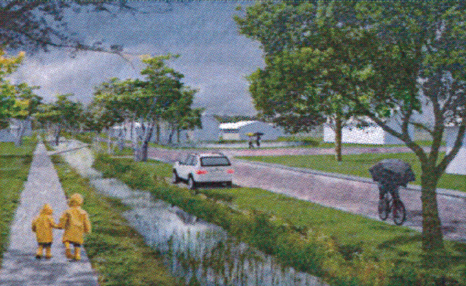 The project envisions street design for underground stormwater storage to balance groundwater levels. 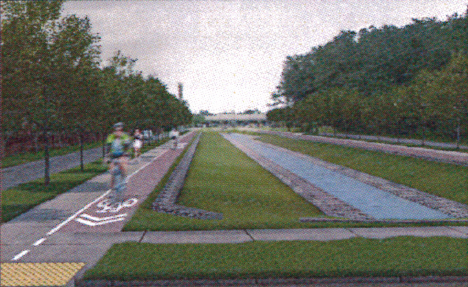 Lafitte Blueway – a two-mile linear park, which includes the dilapidated canal in the Mid-City area of Orleans Parish. 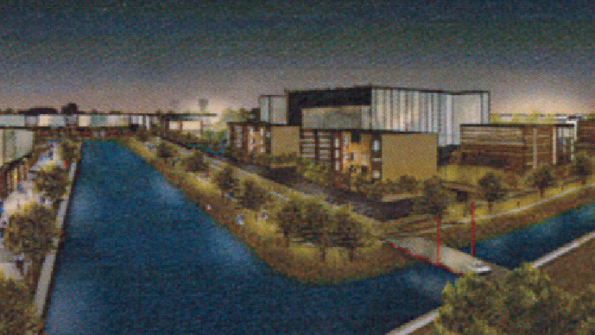 The project would develop a circulating waterway that will recharge the system and provide stormwater storage for surrounding neighborhoods. Elmwood Fields and Water Lanes – this area in Jefferson Parish is largely industrial, with little vegetation. 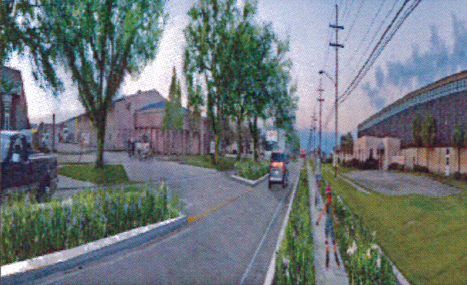 The project to mitigate runoff from the overpaved commercial center involves implementing vegetative bioswales, permeable paving, tree planting and installing green rooftops to absorb the excess water. 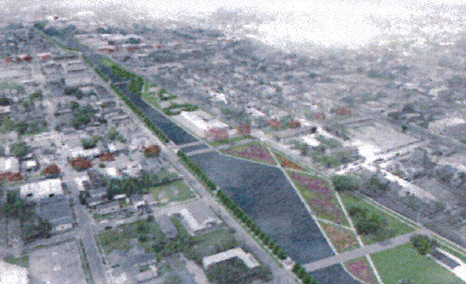 Eastern Water Walk – integrates a vascular system of stormwater collection throughout existing and proposed development. Adjustments would allow for bicycle and pedestrian areas, while bioswales on each side of the street comprise a stormwater corridor. 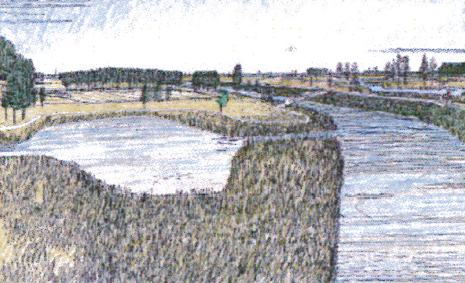 Forty Arpent Canal Zone – a system-scale outfall canal that forms the northern boundary between St. Bernard Parish and the Central Wetlands Unit. It will meet water storage and subsidence control goals by retrofitting canals, thus transforming the area into a destination landscape for visitors. The projects are part of the much-larger plan, which includes retrofits, circulating canals, strategic parklands, integrated wetlands and waterworks, regional monitoring networks and waterfront development zones. Anticipated benefits – in addition to the previously mentioned reductions in flood damages and subsidence damages – include a $609 million reduction in insurance premiums, a $183 million increase in property values and $11.3 billion in regional economic impact. The Greater New Orleans Urban Water Plan is a partnership with GNO and Waggonner & Ball Architects and was researched with help from water management experts from the U.S. and the Netherlands.